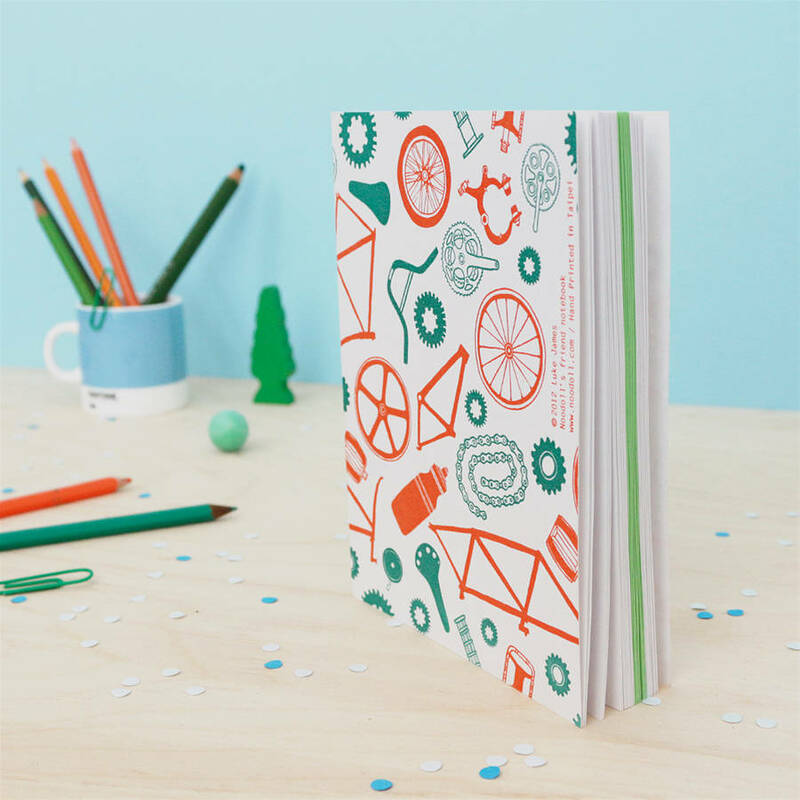 An illustrated notebook for bike lovers! 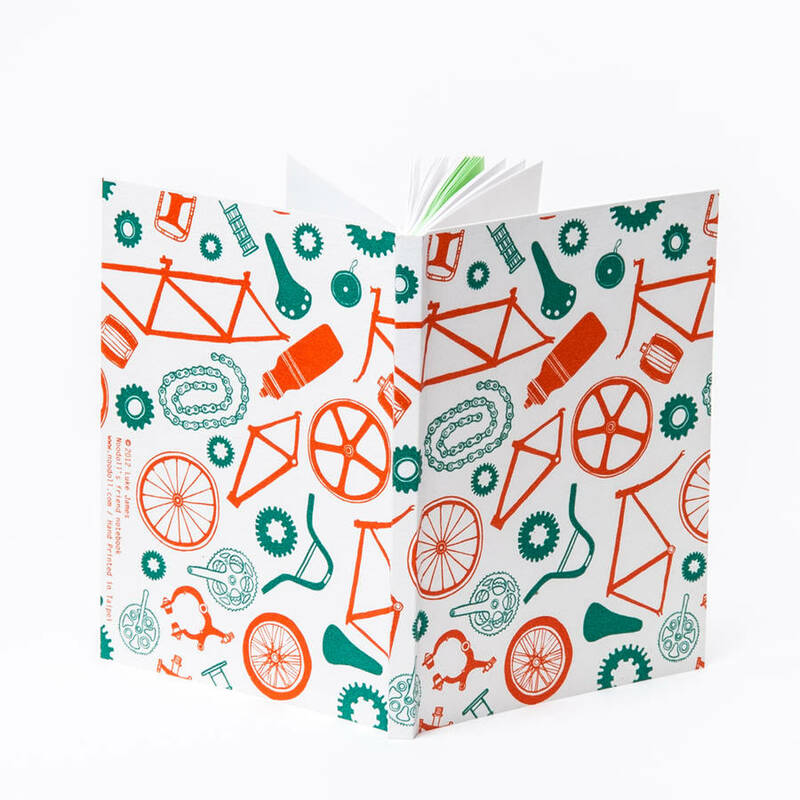 This is a fantastic gift for anyone who loves cycling and bikes. 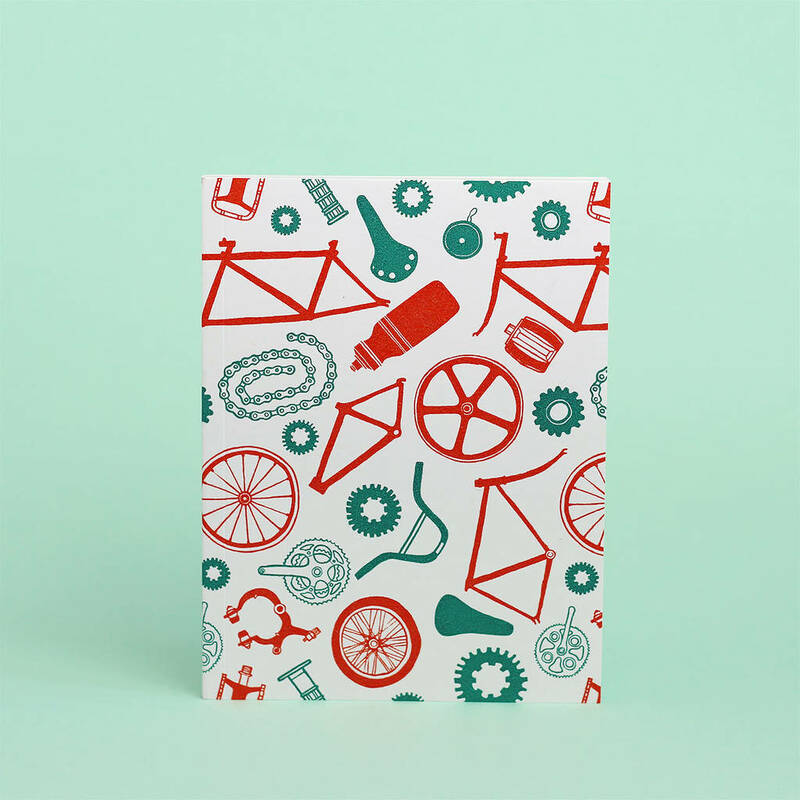 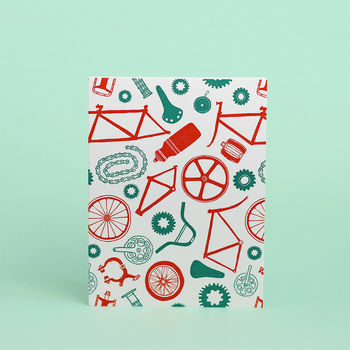 Illustrated by Luke James this chunky notebook has a handprinted letterpress cover featuring all the most vital bike parts and accessories. 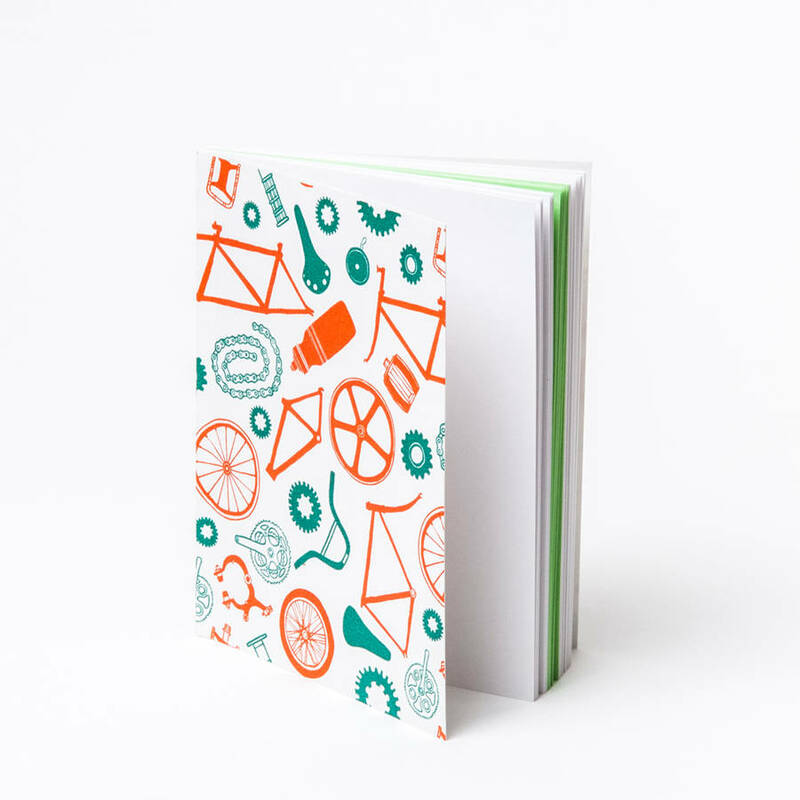 It has plain pages, 194 pages white and 64 pages light blue and is great for note taking, lists, or planning out bike routes.